There have already been eleven school shootings this year in 2018, and it isn’t even February yet. Sadly, the public has become used to hearing about tragic incidents like this, and so today we have a juvenile in custody charged with two counts of murder and twelve counts of first-degree assault along with another town, Benton, KY, full of mourning victims and their loved ones. By now many have heard about the mass shooting that took place early Tuesday at Marshall High School. Despite the fact there was a resource officer on duty at this particular school, two students were killed and many were severely injured. One good thing that can be said is that the assailant is in custody. Members of the Kentucky Legislature are adamant about protecting children in schools, as well, and they have decided that the solution is to make sure every public school should have an armed officer, a stated by Senate Minority Leader, Ray Jones of Pikeville, KY. 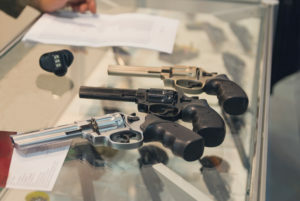 Gun violence and gun rights make up one of the most controversial topics in our country due to the fact that there are strongly opposing views about how to resolve and prevent incidents, such as mass shooting shootings. Hopefully, ensuring that a qualified individual is available at school to protect children just in case of an assailant will be helpful. The other issue of regulating gun violence is not a bad idea, either, to help prevent guns from getting into the hands of a troubled individual with criminal tendencies. Hopefully, our country will continue to work to find a balance so that everyone is able to feel safe from and perhaps also with guns if they remain in the hands of vetted individuals.